View the training via WEBCAST (taped November 8, 2017) on your device at a place and time convenient to you. You will be emailed access instructions within 1 business day. 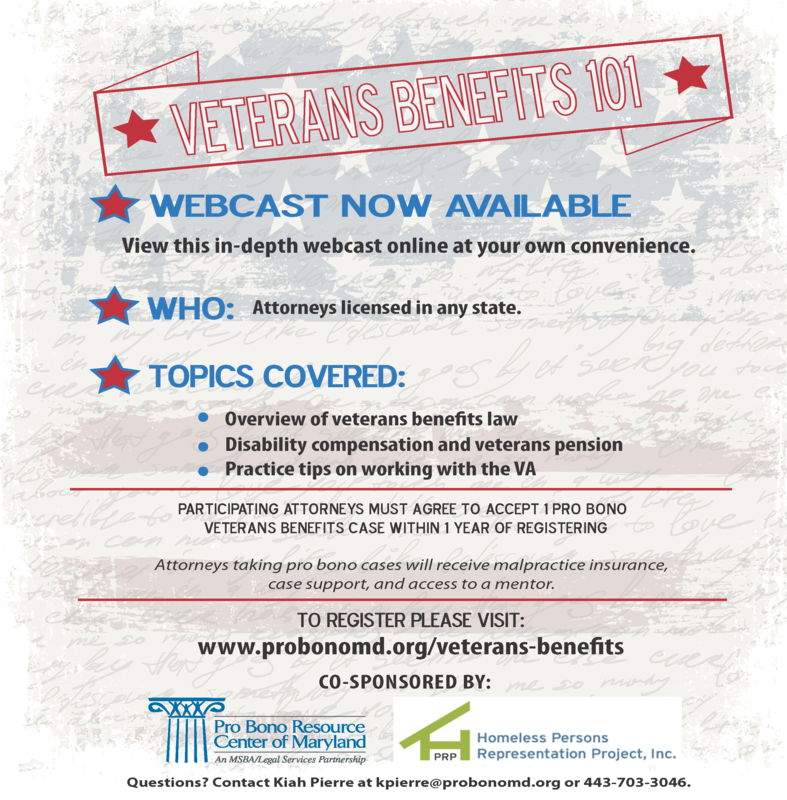 This on-demand webcast training is intended for attorneys barred in any state and will provide an overview of veterans benefits law and will cover disability compensation, veterans pension, and practice tips for working with the VA. Attorneys must agree to accept one pro bono veterans benefits case from Homeless Persons Representation Project (HPRP) within 1 year of registering. Attorneys taking cases from HPRP will receive malpractice insurance, case support, and access to a mentor.